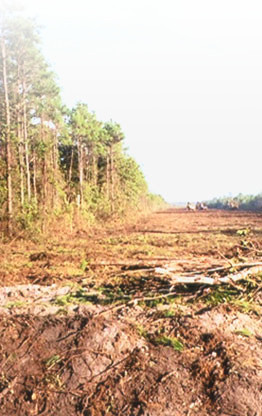 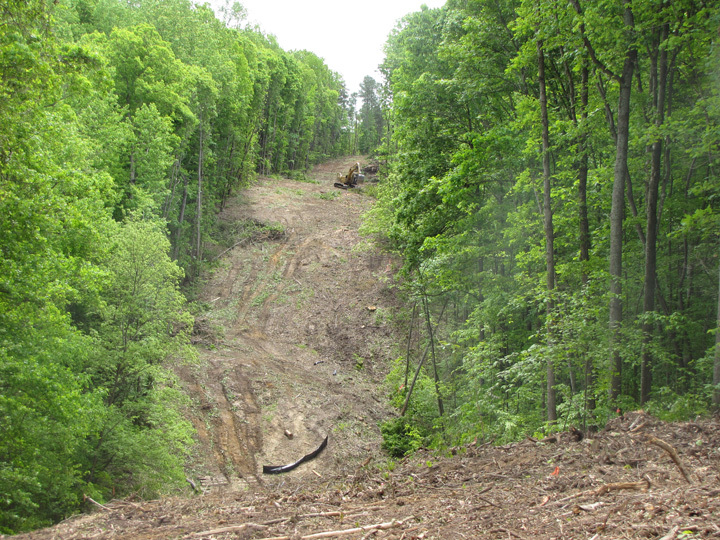 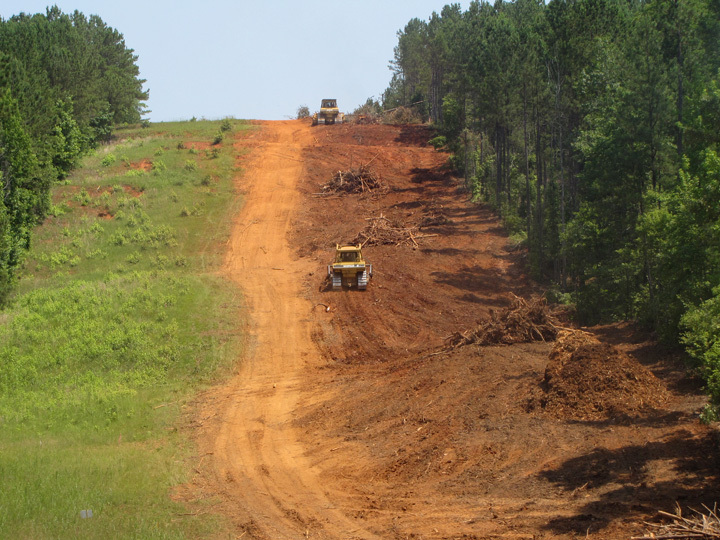 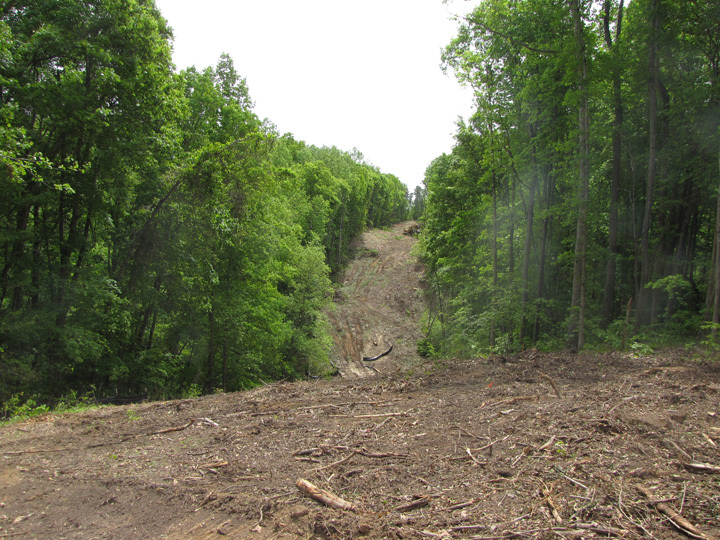 Clear-Con, LLC began clearing land for power lines and gas lines for major utility companies and state organizations such as utility commissions. 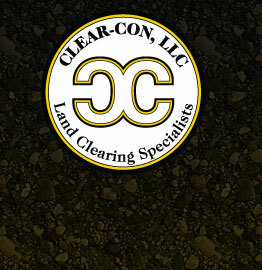 After 10 years and hundreds of projects, clearing for utilities continues to be a major focus for Clear-Con. 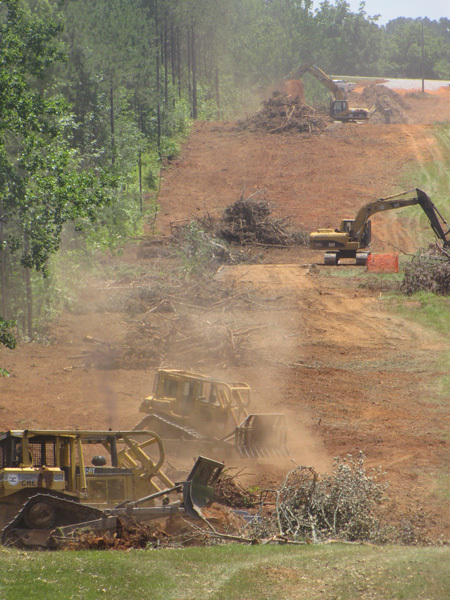 For a closer look at the progress and process of some of Clear-Con's utility clearing projects, click on the thumbnail photos below. 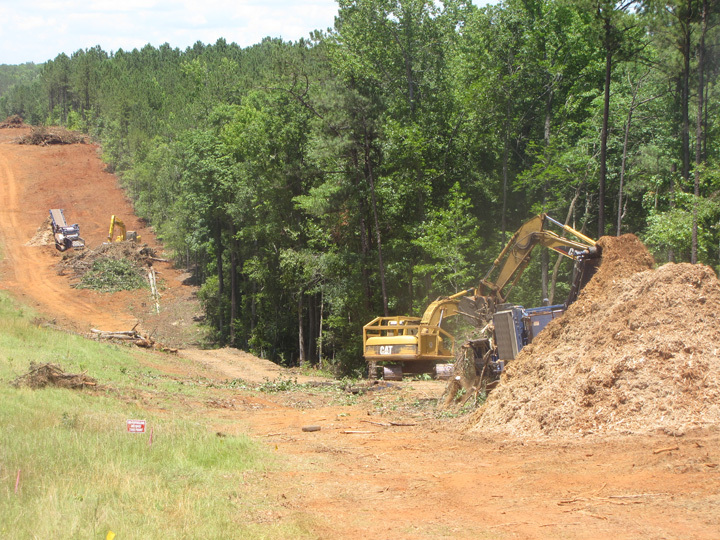 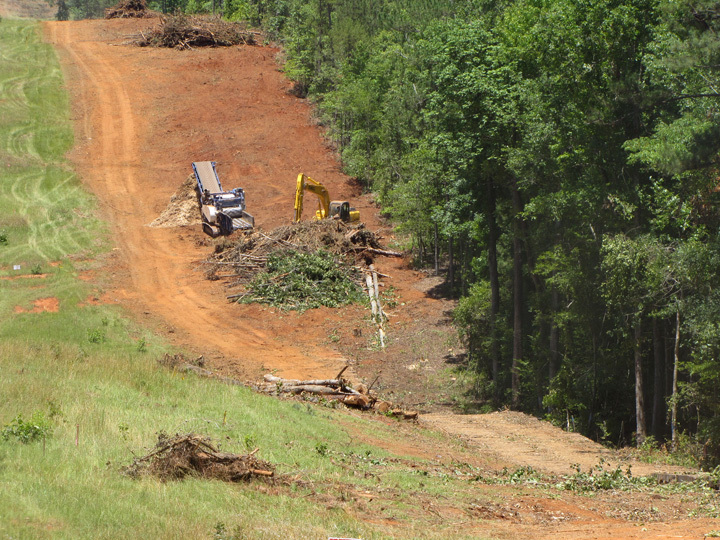 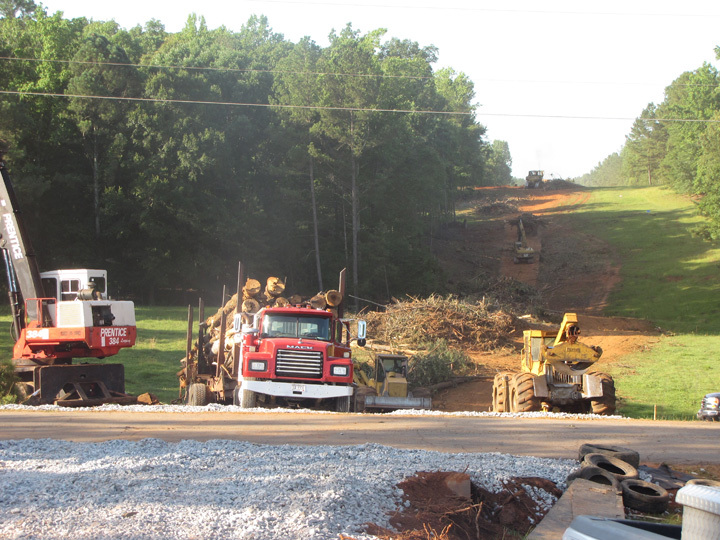 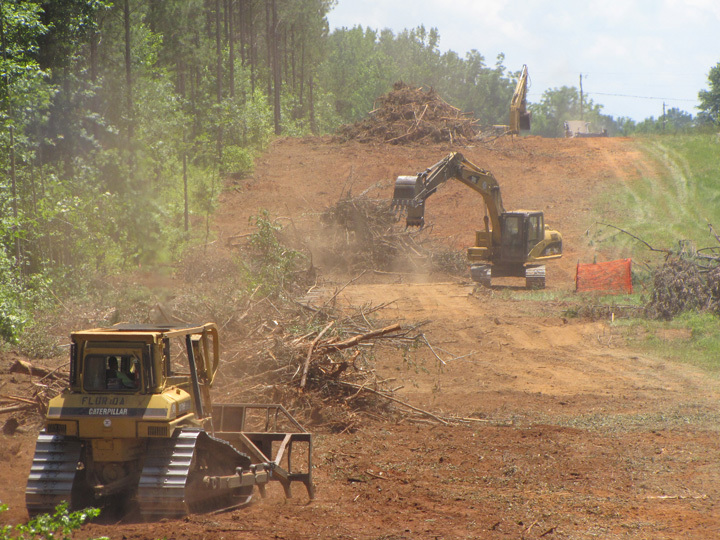 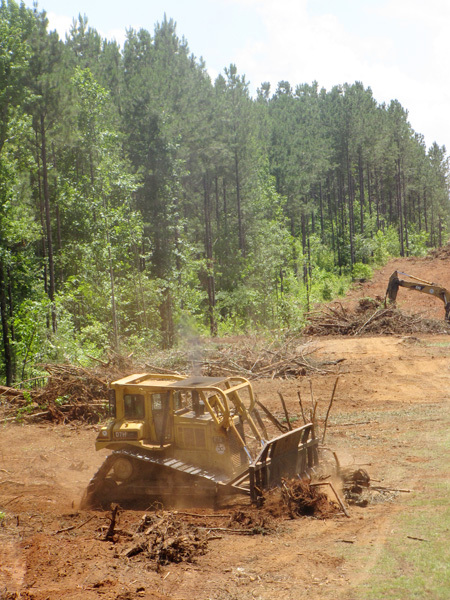 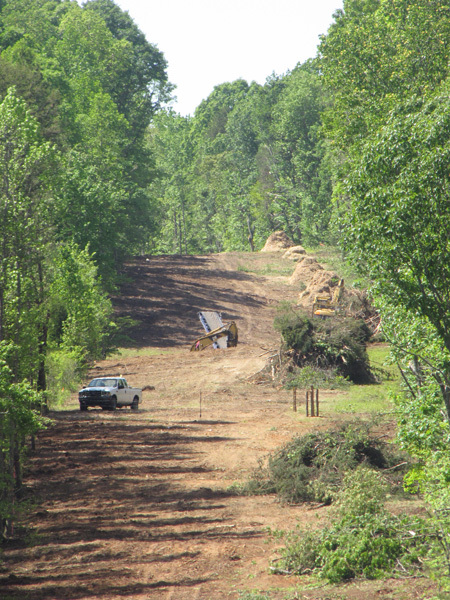 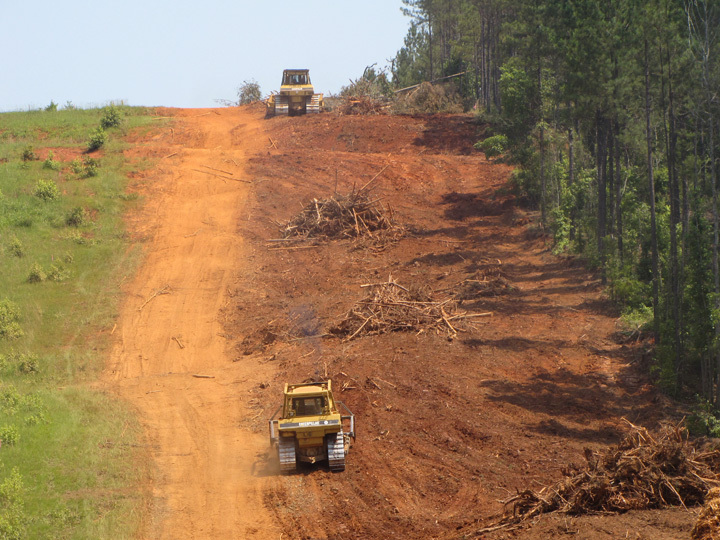 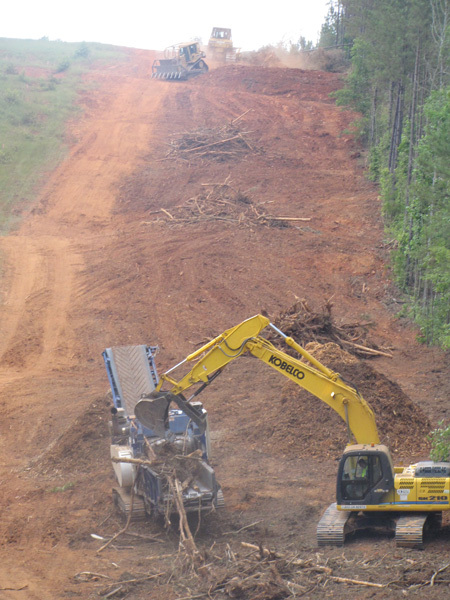 Ongoing clearing operations on power transmission line ROW in for Central Electric in Chester, SC. 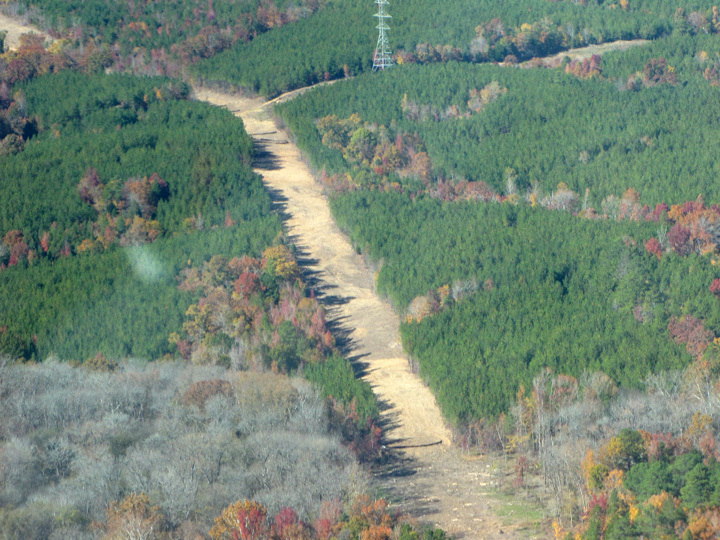 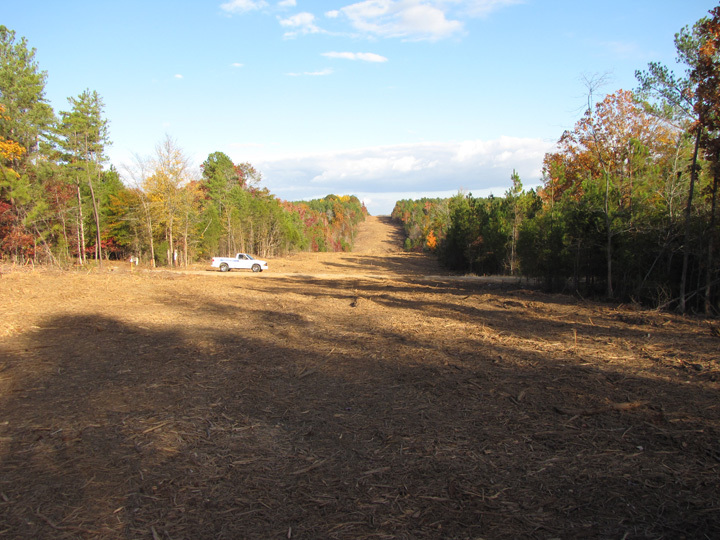 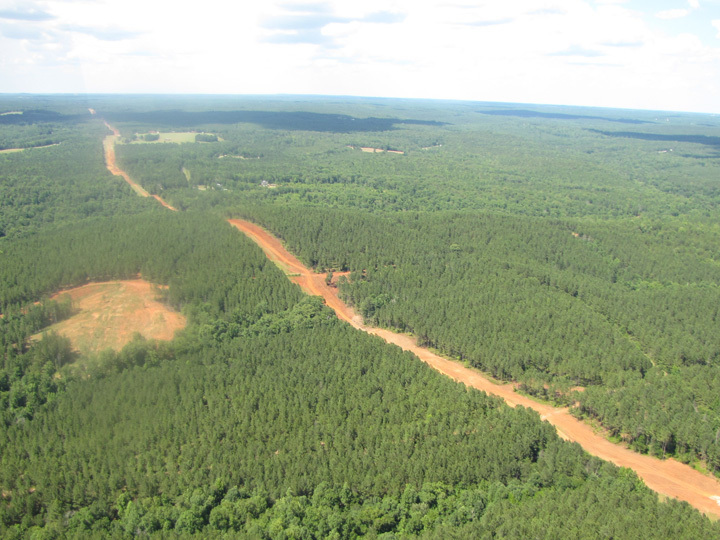 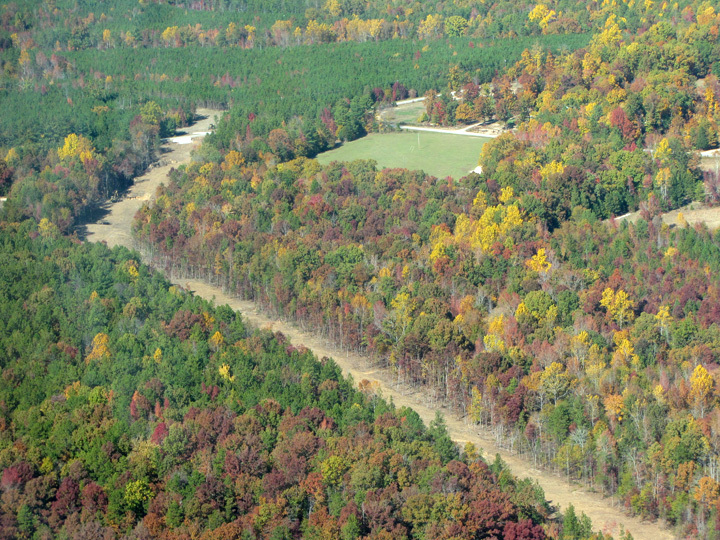 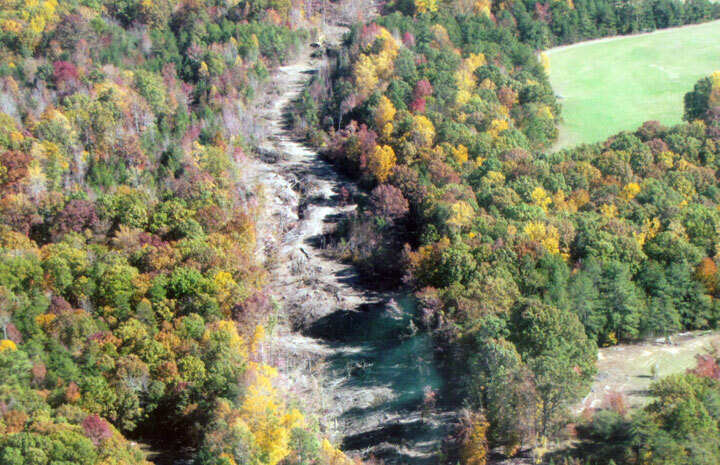 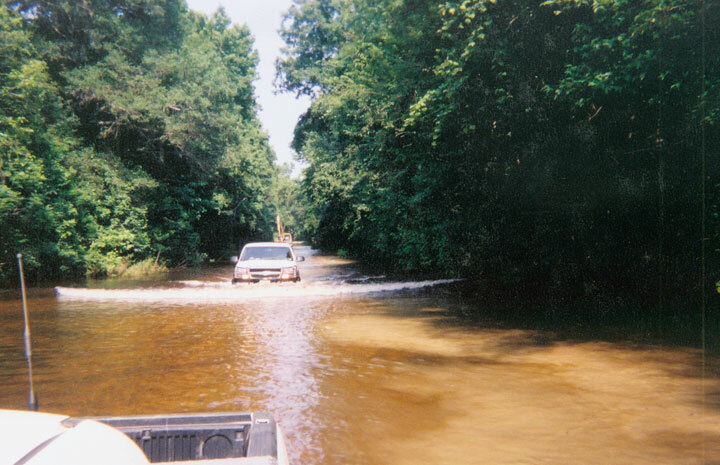 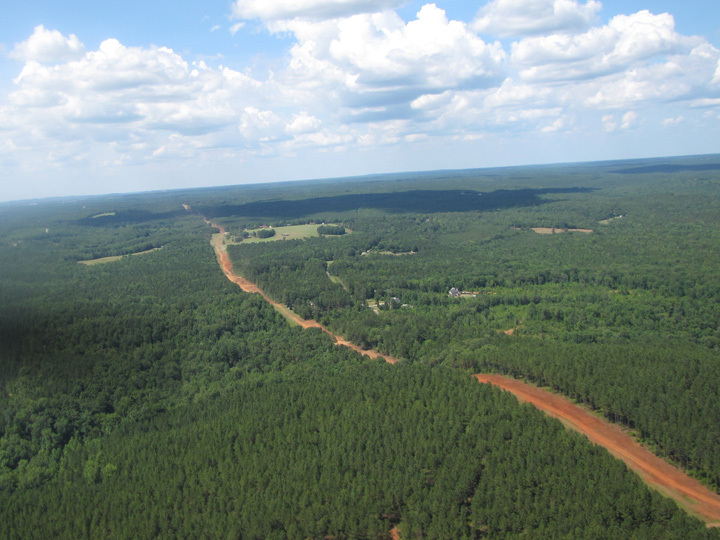 This is a FERC approved access road to a 3 mile wetland and an underwater pull back for South Carolina Gas. 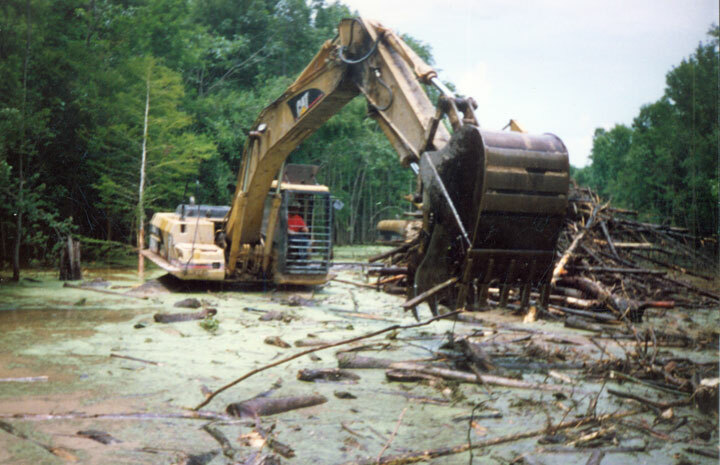 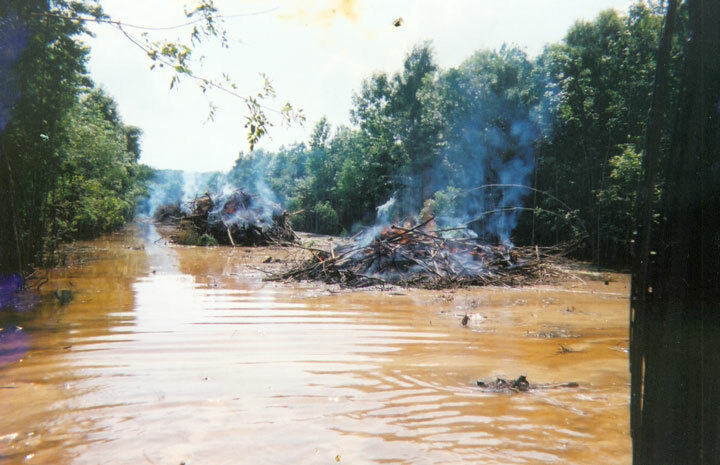 There were areas where we cleared that got to 13 feet deep and we had to transport operators and fuel by boat, never getting the 320 excavators off the brush piles.